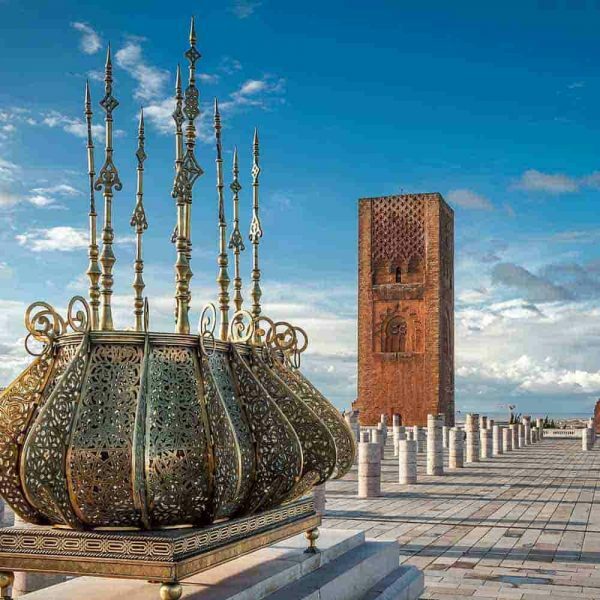 Left Marrakech behind by its civilization, then taste another authentic face of traveling in Morocco. 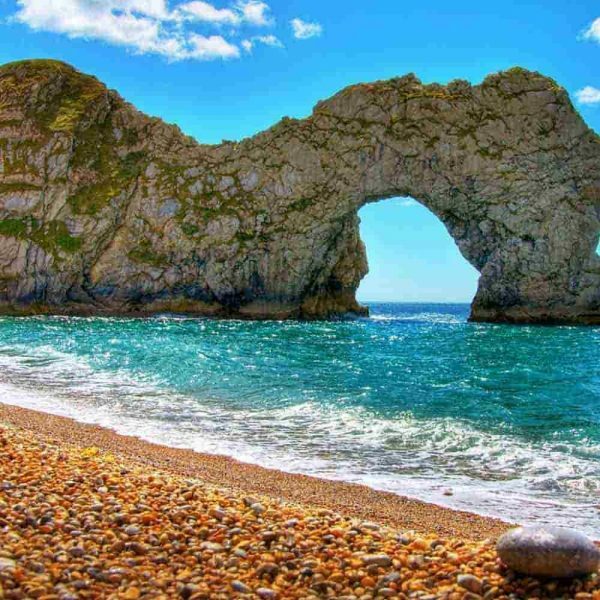 Where you can get breathtaking mountains, gorges and explore the desert experience that could be an eco-friendly with organic meals which touch a million of tourists. 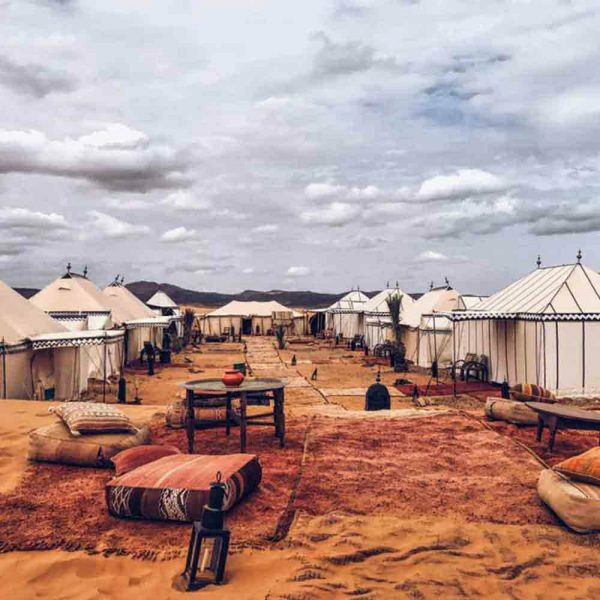 You will discover – or rediscover – the people that make morocco what it is today: its craftsmen, its designers, its painters…. 4WD, fuel and driver English speaking. 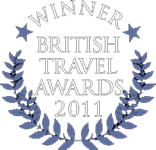 All nights’ accommodation with dinner and breakfast. 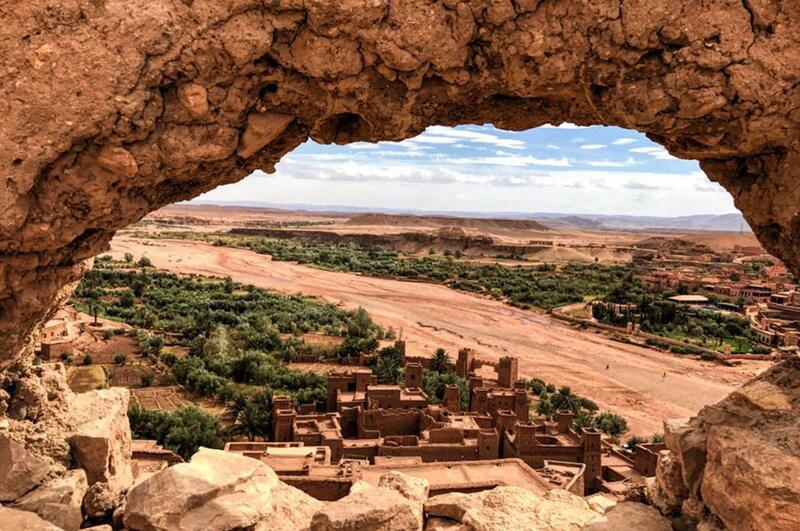 Departure at 8:30 am from the red city Marrakech your departure via Atlas mountain high of 2260m pass of TIZI N’TICHKA, you take the left side to the small road to TILOUAT where you will enjoy the first Kasbah of pasha GLAOUI founded by himself as a spot of having a visit. As you left TILOUAT village behind you will enjoy the nice valley ONILA by green and hugest contrast of colors, it can be a best place of photographer’s stops. 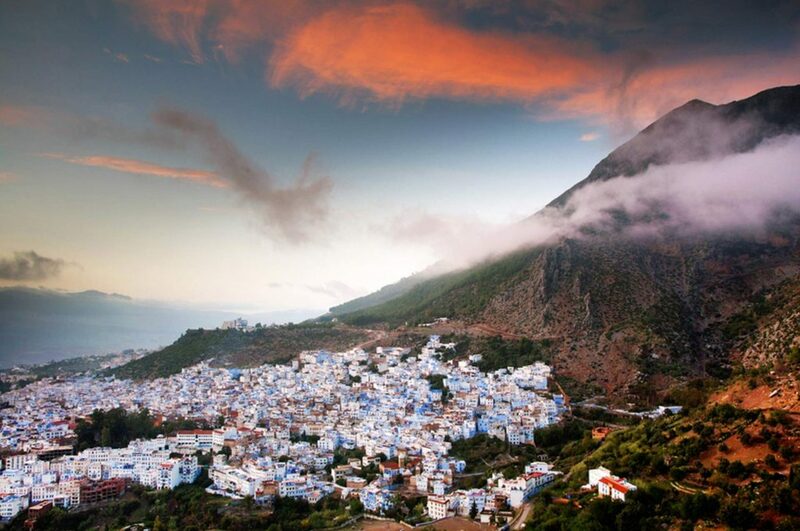 Moreover, the Kasbah sits upon a lofty pinnacle of rock after toward to OURZAZATE as the capital of south where you can visit the studio of cinema and TAOURIRT as an example of the architecture of the Moroccan southern. Then it’s a short drive to SKOURA valley full of palms. Overnight with dinner and breakfast in SKOURA. Departure at 8:30 am in the morning you have chance to enjoy the nice view of SKOURA Palmeraie, then an important Kasbah AMRIDIL, featured on the Moroccan bank notes .then take the road to the roses valley known for the growth of roses whish smells in spring season. Then you left the main road to off-road through BOUTGRART where will you see the nomad peoples still living in tents or narrow caves with their camels and goats. Enjoying the main road of DADES gorge by its nice views of canyon, cascade and volcanic Rocky Mountains. You continue to MSMRIR village famous of apples growth farming, its importance as a trading post gradually. Off-road second time as a boucle way to see the real life of nomads still living in wildness life, where you can drink a tasty cup of tea with nomads, then arriving TAMTATOUCHT, is located a17 km Gorge known by enthusiasts TODGHA climbing, A35 km MSEMRIR (village perched on top of the Atlas) and 45 km from the DADES Gorge where many rose gardens offer us a beautiful landscape of a thousand colors. Overnight with dinner and breakfast in TAMTATOUCHT. Departure at 8:00 am this morning after short driving you relax you legs by walking in TODRA gorge, back to car to enjoy the spectacular gash in the hills that surrounded TINGHIR whish dotted by desert Jewish Kasbah, Palmeraie and mud-brick villages offer a nice scoop of photographers. Rising a 300m the cliffs loom above as you approach to the moth of TODRA gorge. Leaving TINGHIR behind you will head volcanic mountain of SAGHRO still living by tribe AIT ATTA then passing through the pass TIZN’TFRKIN with superb views. 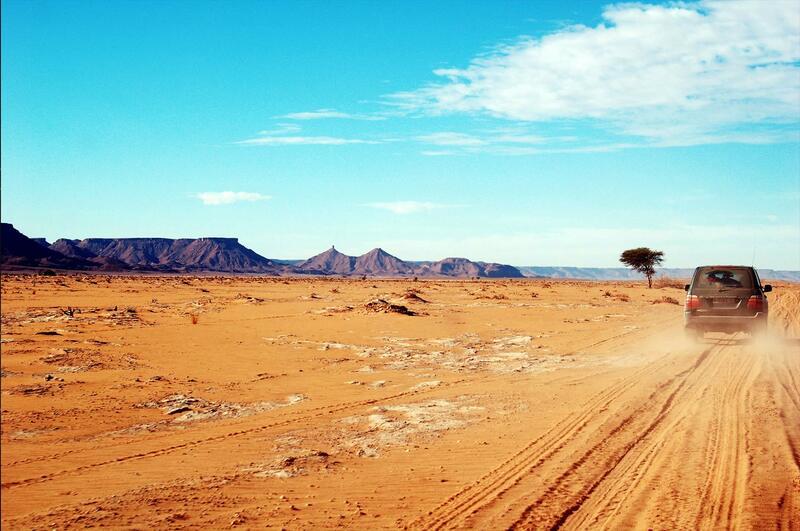 The area is well known by fossils mostly ammonite, nautiloïde and trilobite….reaching N’KOB where you have lunch and see the first palms trees of DRAA valley a lush date palm oasis nearly by 150 miles long, different of 23 varieties. Continue beside DRAA River where you can have same great pictures then carry on till TAMGROUT. Overnight with dinner and breakfast. After nice sleeping departures will be at 1O:30 am, so you have the chance of exploring the village its worth visiting because of its has the second old bibliotheca in Africa after the first one in TOUMBOUCTOU in MALI, then you visit a pottery factory where they made nice green stuff of ceramic; as you can get a pottery lesson. 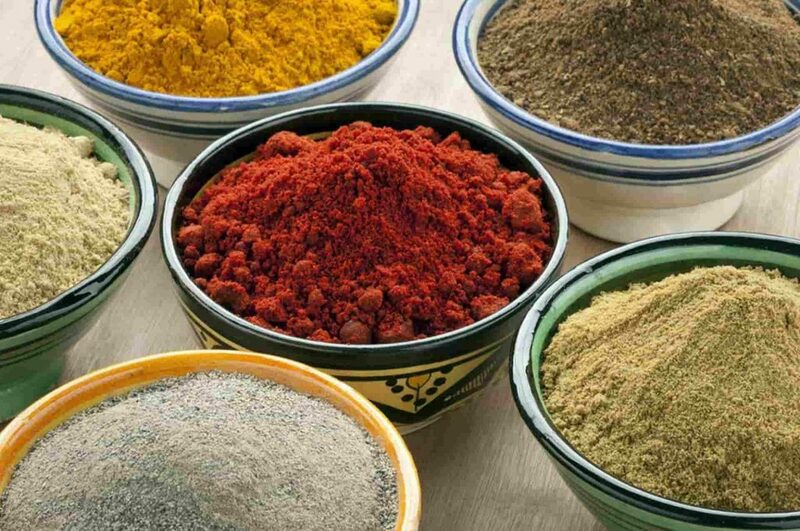 Followed the road to Deep South to M’HAMID where you can lunch or have picnic over the village under shadows of trees, by tasting the flavors of Sahara. Finely after 2 hours of road you will arrive to the sea sand of CHEGAGA. Overnight with dinner and breakfast in camp. 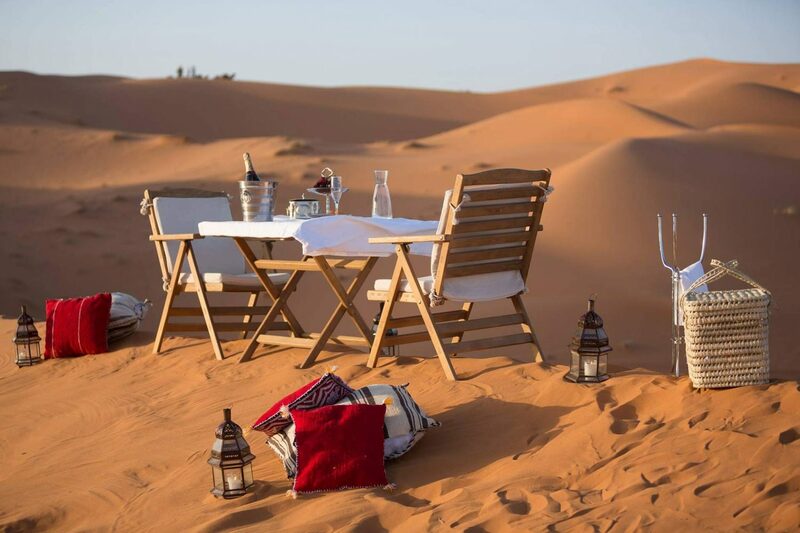 Rise early and don’t miss the romantic sun rising of Sahara, as you can realize your dream! So after having your breakfast, you can make sand boarding or walking on dunes as a sort of meditation. 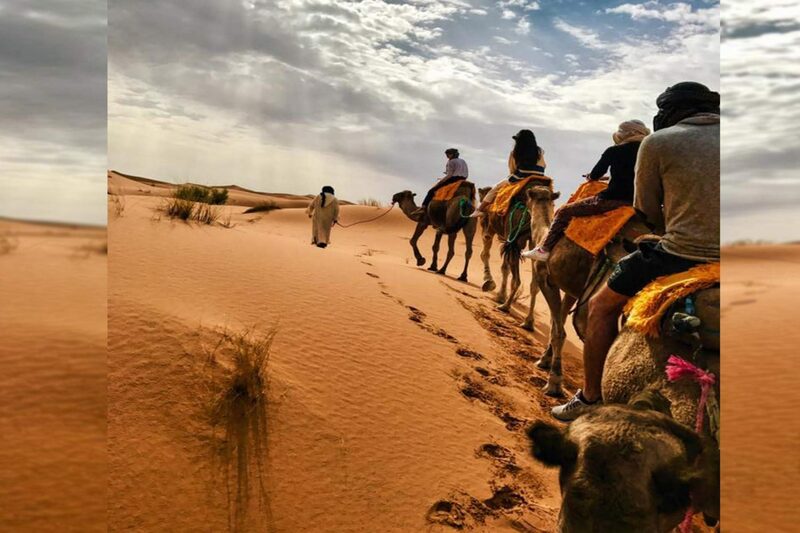 So at 10:30 am camels caravan trekking take you through the desert head of the vastness and peacefulness of Sahara dunes. The sturdy camel has been a mainstay of Sahara life over the centuries a being used to ship the precious carriages from sub-Saharan Africa to Mediterranean coast to trading ports. 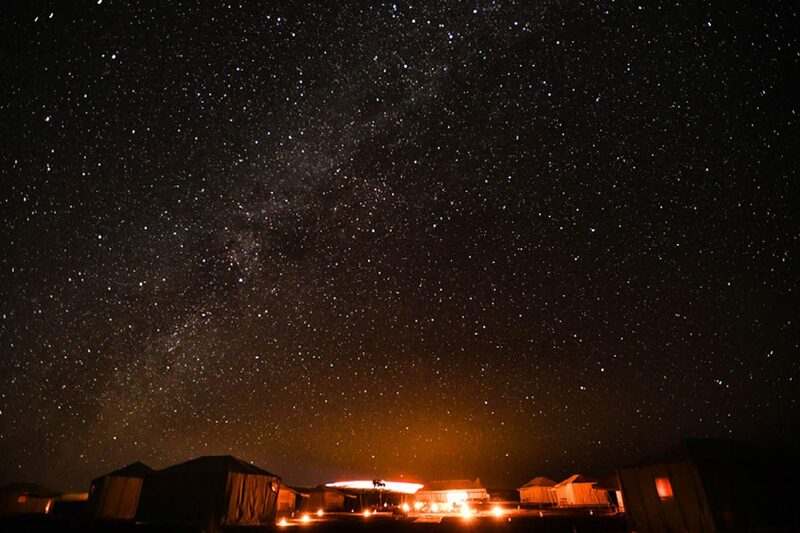 So be sure that you will sleep in a hotel thousand stars in nomadic style and dinner around fire with Saharan music as you can have kitchen lesson. Return on your camel back to the desert camp at 8:00am, then you have a nice shower after your nomadic experience, you left Sahara behind then enjoy your car after 2 hours of off-road in desert arriving to FOUM ZGUID for short stop to drink orange jus or menthe tea….then one hour later, you have lunch in Berber village of TAZNAKT wish is known by feminine cooperatives making rugs and saffron plant. That stills more shipper than big cities. 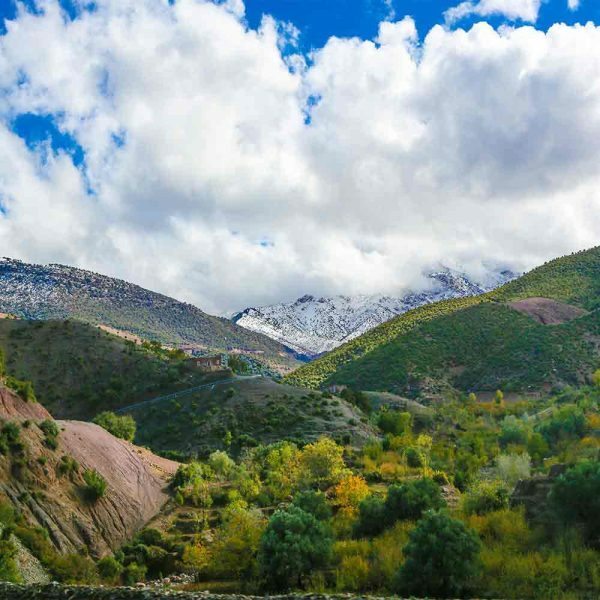 Finally you will a crossing the Anti atlas by colorfully mountains, earth and great landscape, and then you enjoy the high atlas back to Marrakech.